Crochet lace patterns, lacy crochet borders, stripy lace, detailed video tutorials, flat crochet lace tape, double sided lace tape, crochet shell pattern. 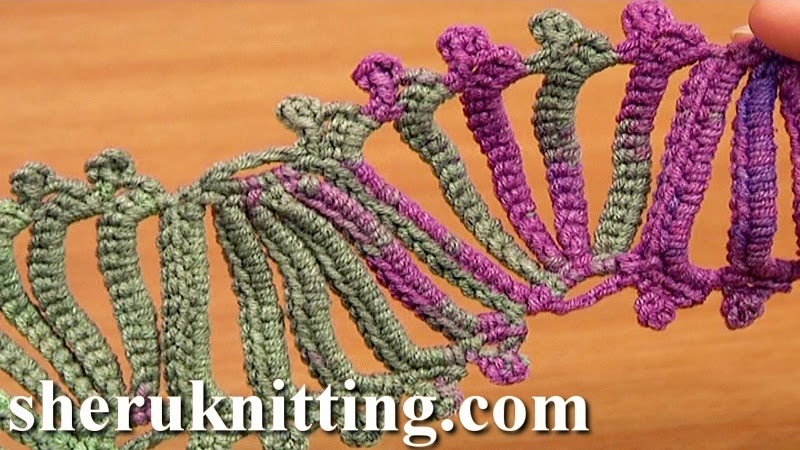 This crochet video tutorial demonstrates an interesting crochet tape pattern that is good for a belt or a scarf. Thank You for watching!